In this episode of Marketing Trends, we explore sales and marketing alignment. We brought in Sean Sheppard, a sales expert, to help explain how organizations can better align the two. Sean is the founding partner of GrowthX and Co-Founder of GrowthX Academy. He is a serial entrepreneur who has successfully grown dozens of early-stage companies. In addition to his experience as a multi-time founder, Sean ran the sales and business development track at Tradecraft and co-founded the Professional Sales College. 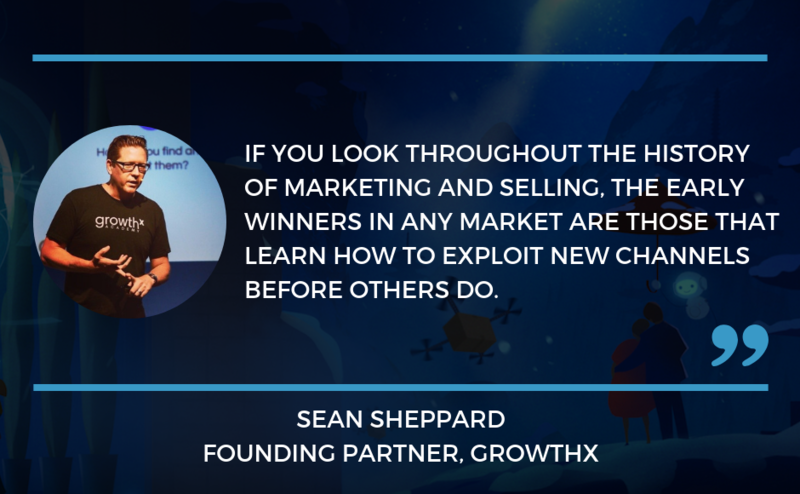 In this interview, Sean breaks down the x’s and o’s of how to get marketing and sales to work together. 2:00 - How to make marketing and sales collaborative rather than competitive. 9:20 - Why marketing should get messaging from sales. 17:00 - Creating product-to-market teams. 23:40 - How to handle product launches. 31:05 - Why SaaS should be service as a software. 37:20 - Evolving compensation plans for marketing and sales teams. 46:50 - How to make sure your star marketers can rise to the top. 55:05 - Best team-building exercises for marketing and sales.